Get a FREE 901XSD Xtreme Sport Series Driving Beam Light Kit when you buy a ARB Deluxe Combination Bull Bar Bumper! For a Savings of $319.20! ARB is going all out this season by giving away a free set of their IPF 901XSD when you buy a Deluxe Edition Bull Bar. The free IPF lights which retail for $319.20. ARB Bull Bars are loaded with features the most important being the integrated recessed winch mounting system as well as laser cut holes in the top of the center pan for fitment of a range of compatible driving lights as well as accepting factory fog lamps. The front hoop dimensions have been modified for a better aesthetic flow with the Wranglers body. Deluxe Combination Bull Bar also features an antenna mount, recessed indicator lights, and tow points. The IPF 901XSD Xtreme Sport Series Driving Beam Light kit are designed for serious 4WDers, these extreme performance lights incorporate water and dust resistant components for maximum life expectancy and include waterproof connectors, wiring loom and switches. 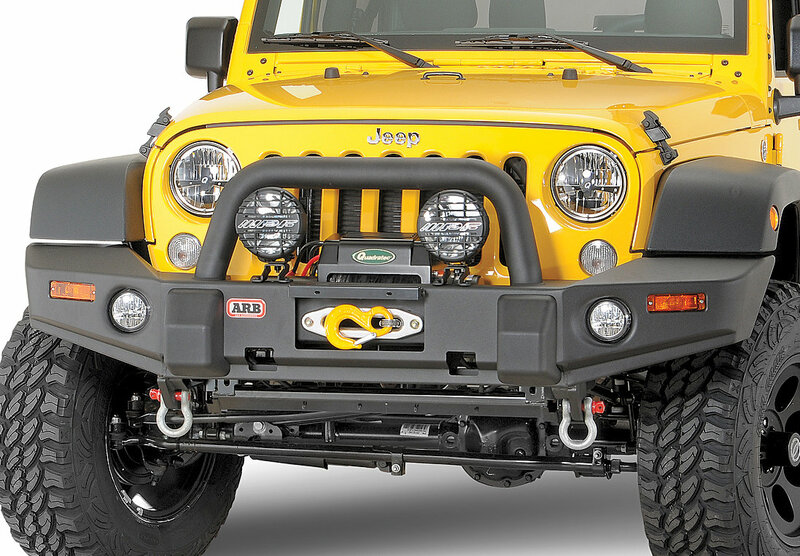 Front Bumper: Unlike most brush guards and bumpers, ARB Bull Bars incorporate a fully engineered mounting system which completely replaces the factory bumper. ARB's Deluxe Bull Bar selection is the most extensive. Loaded with features aimed at making remote area travel safe, no other bumper offers the same degree of vehicle integration, protection or functionality. 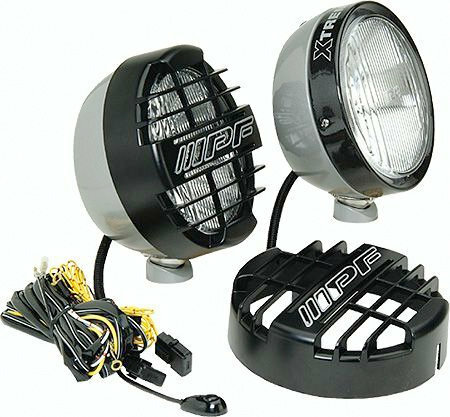 IPF 901XSD Lights: Introducing these new tough, heavy gauge, steel bodied lights from IPF. The 901XSD features a tough, heavy gauge steel body and hardened glass lens that is submersible up to 11.8 inches for up to two minutes! The advanced Heatproof Resin Reflector features an incorporated water and dust resistant breather. The design of the reflector surface is optimized to the bulb design providing ultimate performance in lighting. These light include a set of advanced IPF 100w H9 Halogen Bulb with water and dust seal for maximum life and performance.